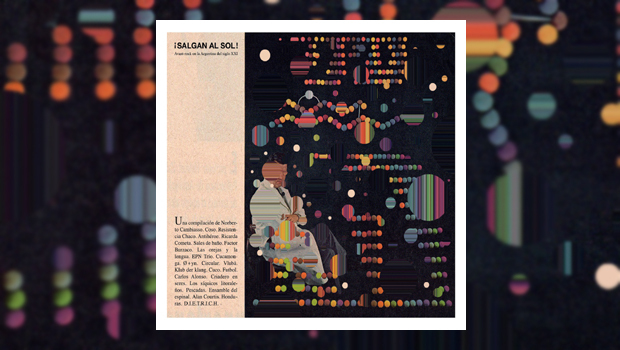 Various Artists – ¡Salgan Al Sol! Argentina is a vast country, in fact the eighth largest in the world. Consequently, with a population of only 41.5 million it is somewhat sparsely populated, especially given the fact that nearly 13 million of the total live within the urban area of its capital Buenos Aires, and I’m guessing that’s where the majority of the bands on this compilation hail from. I say “guessing” because the comprehensive press release that comes with this double CD is solely in Spanish, not a language I have much grasp of, but the dreaded Google Translate seems to more or less confirm my suspicion, with main compiler Norberto Cambiasso saying that the “…scene…actually extends beyond the Buenos Aires epicenter to cover as far away as Toay in La Pampa or Curuzú Cuatiá on the coast”. The sub-title of this sprawling collection is “Avant-Rock En La Argentina Del Siglo XXI”, or “Experimental Rock in 21st Century Argentina”, which neatly sums it up. The only Argentinian bands I know anything about are Bubu, who existed just long enough to make one rather fine avant-prog album in 1978 entitled Anabelas, something of an eclectic prog lost gem to those in the know, and AltrOck’s Factor Burzaco and Cucamonga, the former being fine exponents of ethnic-flavoured RIO, reviewed on these pages last year, the latter more Zappa-inclined. The two AltrOck bands turn up on ¡Salgan Al Sol!, and you can read more on Factor Burzaco’s album 3, from which the track on this collection is lifted, HERE. 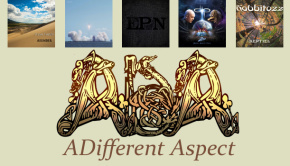 A review of the Cucamonga album Alter Huevo which features Cletalandia can be found over on DPRP HERE. This epic double CD covers many bases, and as Norberto tells us, mixes Latin American ethnic styles cumbia and chamamé with “…electronica, psychedelia and no-wave, jazz…progressive and post-punk sources…krautrock, noise and chamber music”. All the selections are relatively modern, track 3 on CD 1 being the oldest, hailing from 1998, and it is the first to really catch my attention. 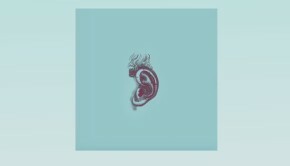 Antígeno by Antihéroe is a fiery mix of spiky guitar playing and some great sax blowing, shot through with odd rhythms. Speaking of which, the following number by Ricarda Cometa uses native percussion put through effects for a few minutes of bizarre alt-percussive shape throwing. With a band name that translates as “Bath Salts” how could Sales de baño make anything other than an interesting charge through some pacy RIO moves, Las Orejas y la Lengua make a delightful flute-led chamber rock confection, and the title to the EPN Trio number tells you all you need to know, and a fine piece of work it is too, a highly inventive slice of suspenseful piano dominated chamber rock, where a burbling acidic guitar break arrives from nowhere taking one by surprise. This track is definitely one of the highlights of CD 1. The unpronounceable Ø+yn give us Murmullo de cascada abrasive (‘Murmur of the abrasive waterfall’), which sounds like a Latino take on Faust warming up. Led by a bass clarinet over some very weird sound effects, it is quite odd and I like it. We end with the equally Krautrock influenced Zen drones of Circular, and if these bands are anything to go by, Argentina, placed as it is out on a cultural limb, has only benefited by not being beholden to the more obvious Western cultural influences. Well, here we are, halfway through, and I must admit the quality of the music on this collection, which was something I had been dreading, is actually very high indeed. ¡Salgan Al Sol! translates as “Get out in the sun!”, and these minds have been nicely fried, yes siree! CD 2 opens with the nightmarish Nilda Amil beaming in white noise and disembodied voices from the dark side, the sort of backing over which you half expect Scott Walker to start a baleful croon ruminating on the decapitation of dictators. Klub der Klang come from the formative Ash Ra Tempel/Guru Guru school of loose ur-rock noise backed by thundering repetitive rhythm, and make a bloody marvellous racket. Cuco take a similar but slightly more structured approach to their rowdily hypnotic Hamaca (Hammock), while El Asedio de River Plate (The siege of…) is a short charge through the barrios with sax and violins. Carlos Alonso, who sounds like he should be playing off the striker for Racing Club gives us Baño de mostaza, which translates as “Mustard bath”. With a title like that I was hoping for more than it offers, which is a scratchy guitar noise akin to several scrawny feral cats fighting over a dead rat. Recorded live in front of an audience of ones, there’s some “singing” on this one, a rarity on the album, but it’s probably best forgotten. Alicia bebiendo raki could well be a track from a Devo bootleg before they got a record deal. It has a naive charm. This second CD seems to be more lo-fi and experimental than CD 1, and is proving hard work after a decent start. Pere Ubu and the good Captain discipline Los síquicos litoraleños with their punky whips on Sirena chunga y la movida solar, both band and track title stubbornly resisting Google Translate. A highlight of CD 2 is Humano by Pescadas, a languid and atmospheric slab of post-punk avant strangeness with a weird off-kilter late 60s feel via Syd and The Soft Machine with added flute. Quite odd, but rather good. The improvement continues with Ensamble del espinal, and their DIY woozily psychedelic Le hace ruiditos, which translates as “It makes noises”, and it does, again with a big experimental Krautrock vibe, and some vocals that actually work. Canción cruda means “Raw song” and it probably would not surprise you to learn that contrarily it just happens to be one of the better produced efforts, and another highlight. Led by an oddly metered bass line underneath echoed guitar, it is a quietly ruminative affair, delving into minimalist space-dub territory with a deft touch. Nice. D.I.E.T.R.I.C.H. have probably the most conventional outlook of any band here, and, underpinned by a gorgeous bass sound, make a lovely drifting melody with a driving beat, a kind of souped-up Blue Nile meets late 80s Wire but without vocals, conjuring orange urban glow. One of the curators of the compilation is Alan Courtis, and he gets to end proceedings with his Arpón con hueso arponero, which might translate as “Harpooner with bone harpoon”, a sinister synth driven visit to a dark corner of the psyche. Like all compilations, there are some hits and some misses on this, but it sure is an interesting ride. See the Bandcamp link below, where you can stream the whole caboodle! Way too many to mention, and they’re not listed anyway!